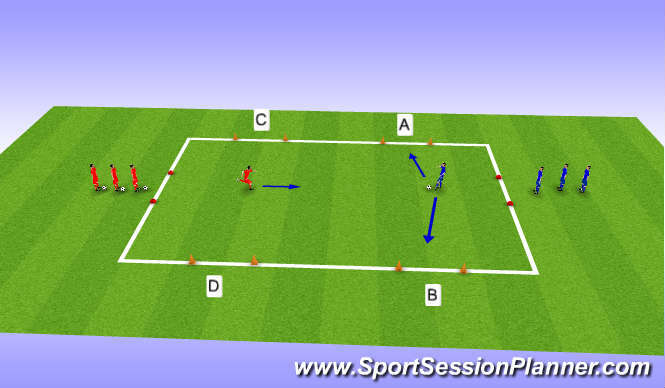 after the attackers have had a good go they swap roles where reds become attackers and must score in gates C or D.
Defenders give the ball to the coach. 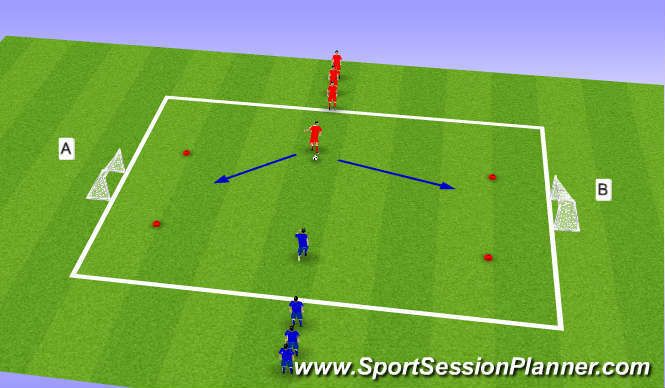 The coach feeds the ball to the attacker, the defender must chase attacker, whose aim is to score in either of the 4 goals. 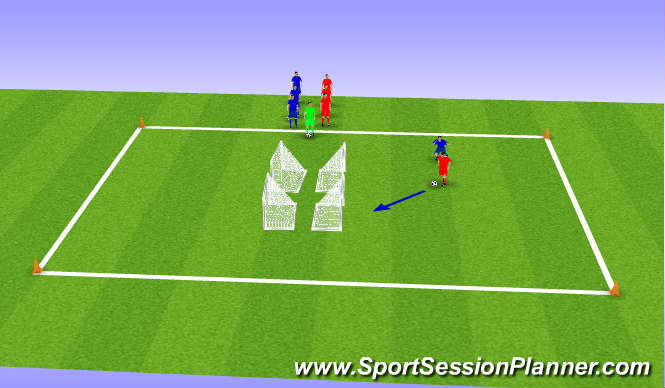 Defenders in blue play ball to attackers in red who have to score in either goal A or , if for example an attacker scores in goal A - both the attacker and defender must sprint to cones at goal B and touch them then defender joins attackers line and attacker joins defenders line and they swap roles. Goals can only be score within the cone area or closer! 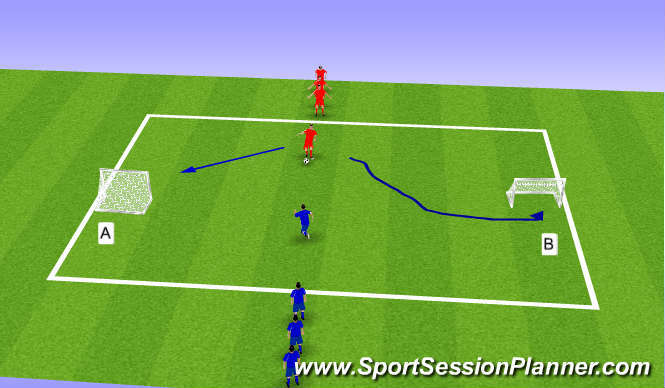 Defenders in Blue plays the ball into attackers in red - attackers must try and score in goal A or B however defenders can tackle this time so it&apos;s more challenging if defender wins the ball they can score! Swap roles once being either defender or attacker!